I am a walker, sometimes bike rider, and curious. On a walk several weeks ago, along a very nice walking trail nearby, I found that the trail was being extended towards the North. Being my curious self I ventured along the new construction route to see where it would go. Along the way, a short distance past the beginning of new construction, I realized that I was walking on an old rail roadbed. I asked one of the workers what railroad it was and was told it was from "long ago". Now, long ago can mean so many things. I remember a person in Greece telling me that a set of ruins was "very old", turns out they were Minoan. Old indeed. I remembered seeing some reference to a light rail system at a local county display so I returned there to take a second look. Although the display piece I remembered was a route listing and not a map the pieces fit. I had been walking on a portion of the Kansas City, Clay County & St Joseph rail road, or at least a small portion that was being reused in this walking trail expansion. I did some digging on the internet and local libraries. Again, my curiosity was in full drive. I did not find a great deal of information at first. The long and the short is the Interurban story was short by historical standards. 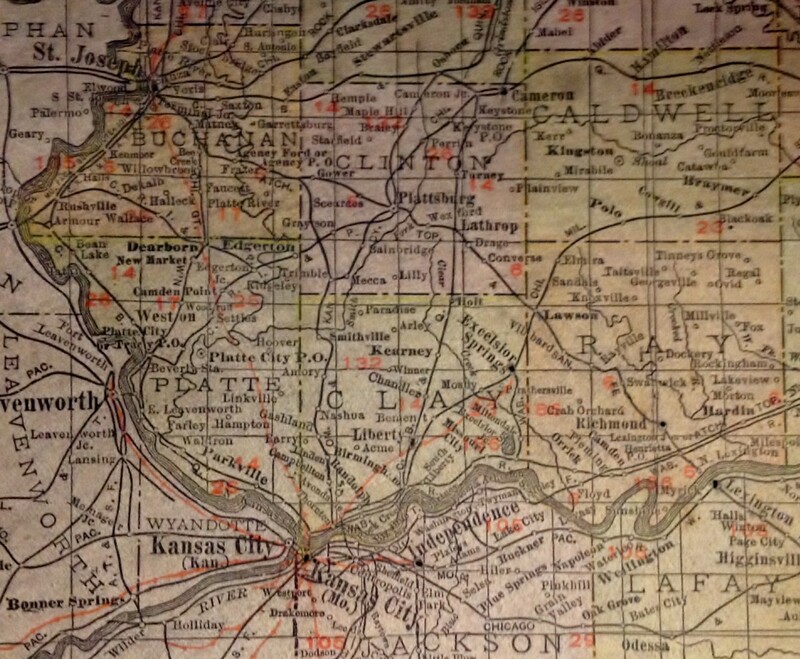 By 1900 there were thousands of miles of rail lines throughout North America. Any town of any size had at least a spur line going to another line that linked all the large population centers. By the 1910s ones option to travel any distance was to walk, ride a horse, buggy or stage, or go by train. Although the automobile was just beginning it's rise, there were no hard surface roads between towns. Within the larger cities electric trolley systems had replaced a lot of the horse drawn vehicles for mass transit. Many cities created Interurban lines to connect nearby towns, farms and smaller cities. Kansas City was no exception to this trend. The Kansas City Clay County & St Joseph (KCCC&ST JOE) was opened in 1913. The line ran North from Kansas City to North Kansas City where it split. 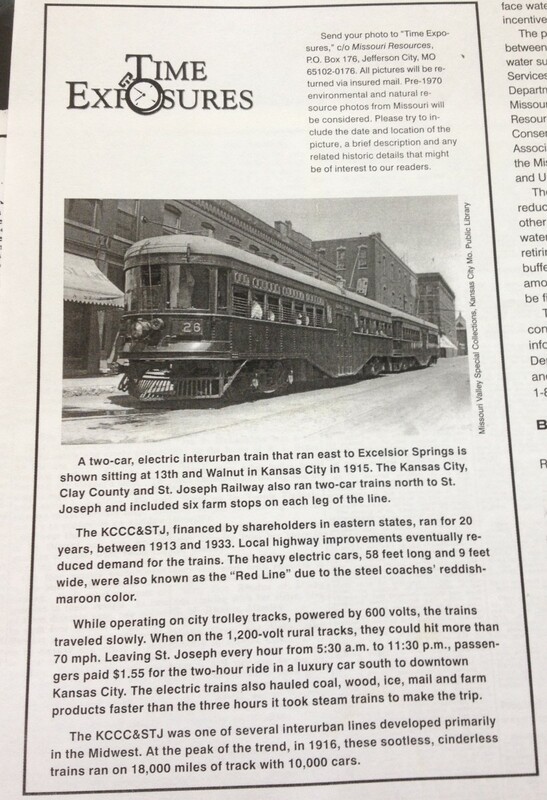 One branch ran to Excelsior Springs about 28 miles, the other ran to St Joseph about 51 miles. These two routes were not just another trolley line. 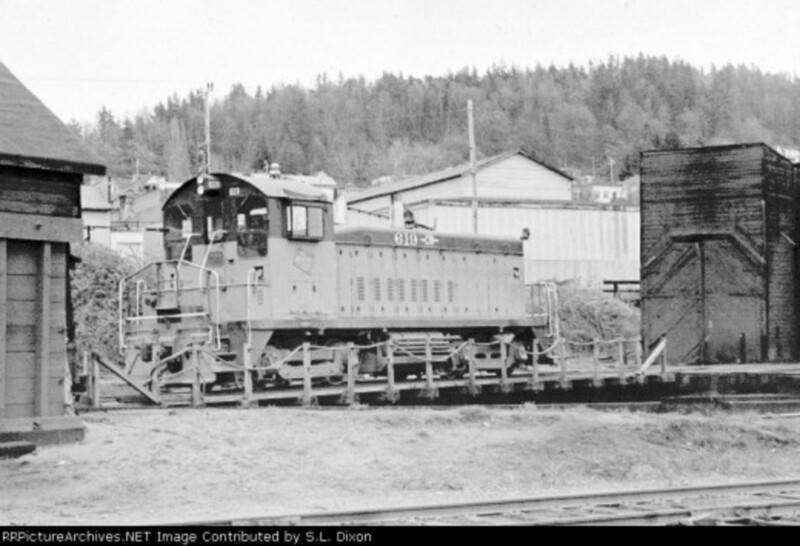 The road grades, bridges, ballast and track were laid down to steam locomotive standards. The new cars used on this line were massive, with four 100 horse power DC Electric Motors, and could reach speeds in excess of 70 miles per hour. In fact this particular Interurban was sited as the "Worlds Fastest Interurban". When this line was conceived and opened they did so with a 200 year charter in 1913. The rail road was closed and abandoned in 1933. 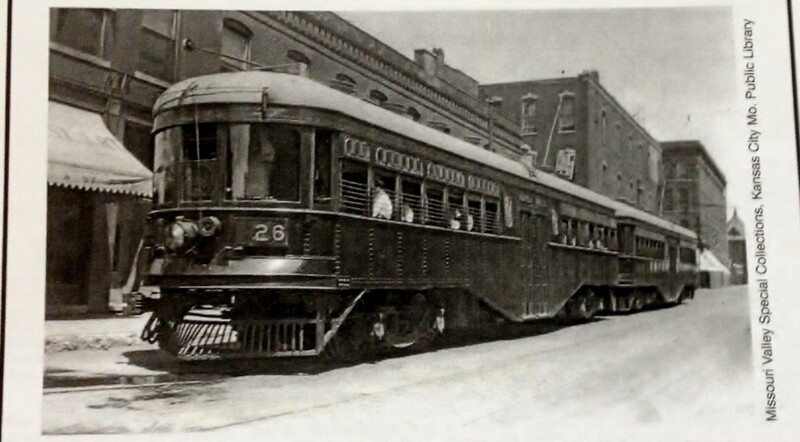 Hard surface roads, the automobile, and eventually the plane replaced this early "Light Rail". 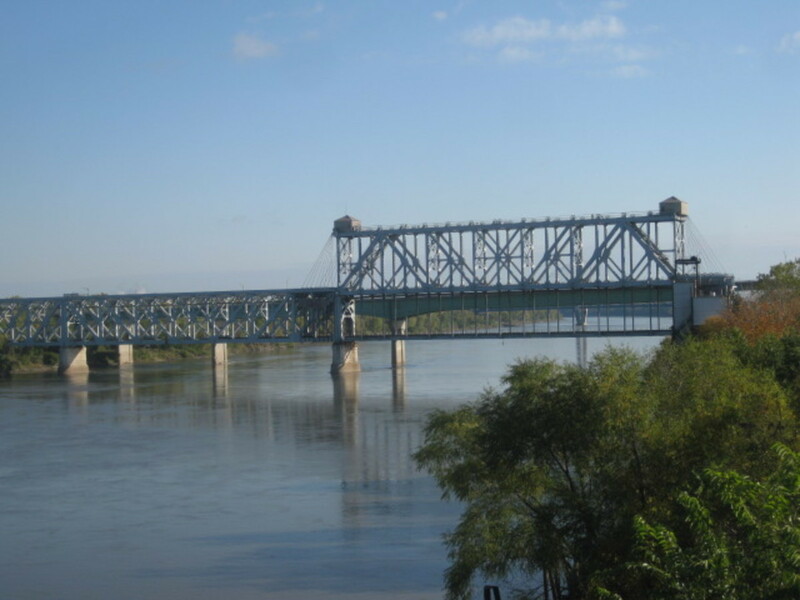 Not to be forgotten, the key piece of the story of the KCCC&ST Joe was the completion of the Armour, Swift and Burlington Bridge over the Missouri River. 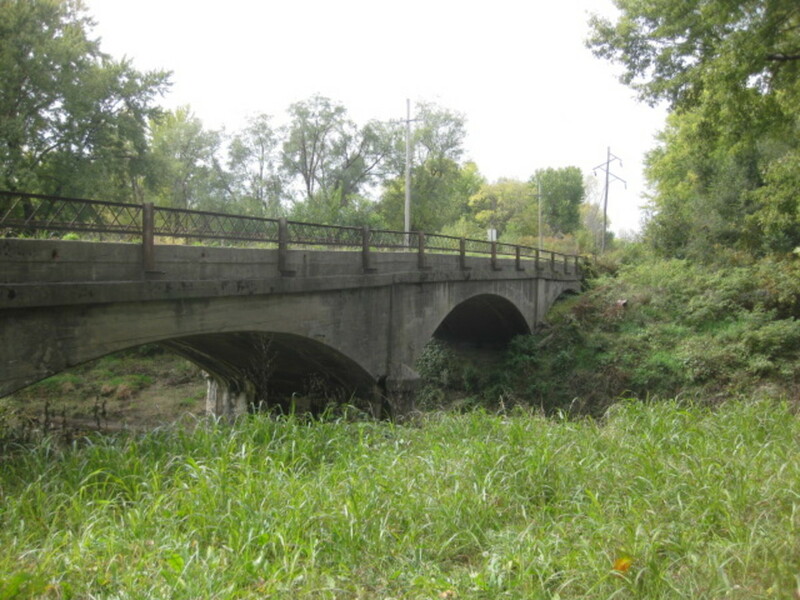 Built by Armour Packing Co, Swift and Company and the Chicago, Burlington and Quincy Railroad, this was one of only two bridges built in this design. 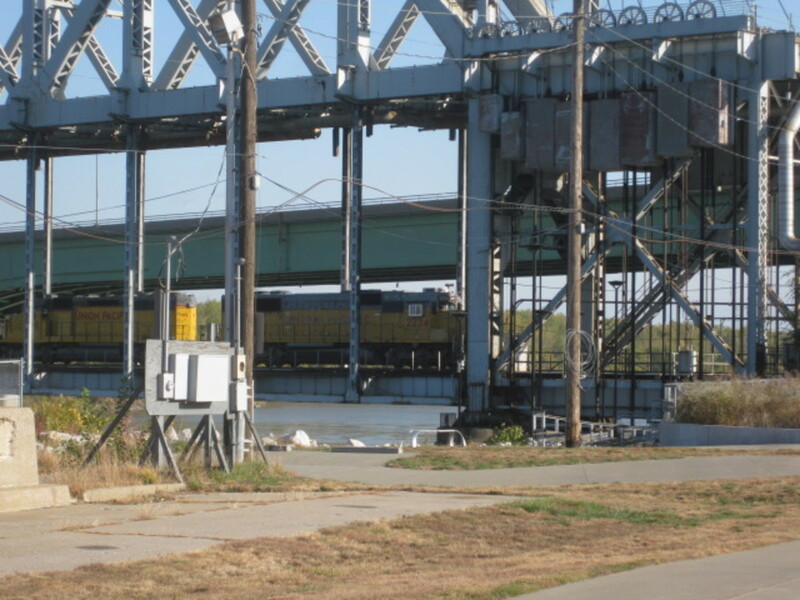 The ASB Bridge had a lower, steam freight bridge and an upper trolley and vehicle, pedestrian bridge. The lower section raised as a Vertical Lift Drawbridge, while the upper section remained in place for continuous use. 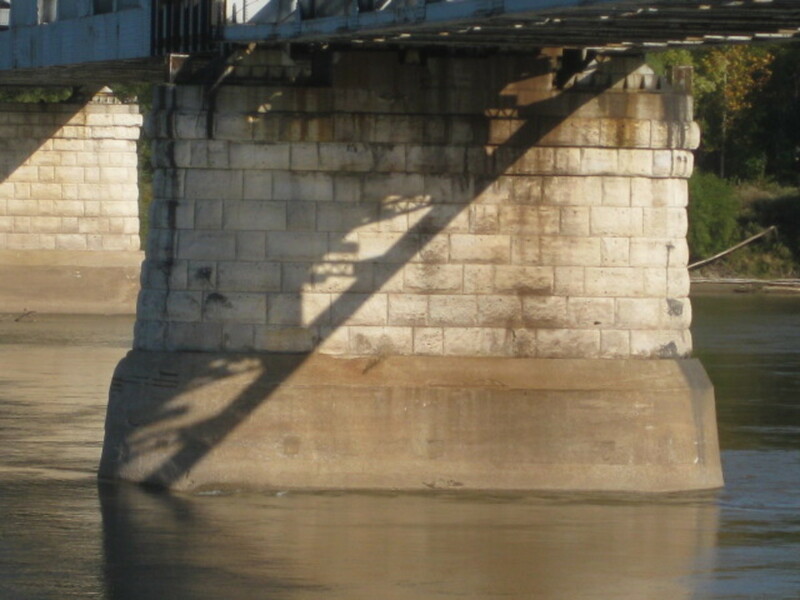 The Piers for this bridge were built in 1890, that bridge was not built. However, in 1909 it was completed as it now still stands across the Missouri River. The upper deck was removed in1987. I had found some history and done a little digging (not literal). 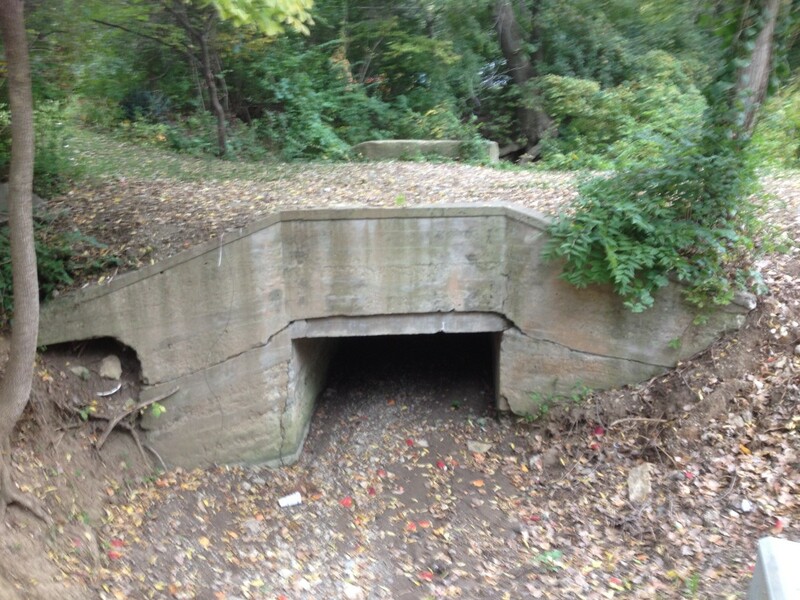 I began to be more observant on my walks through areas that had been right-of-way for the KCCC&STJ. As I revisited the new trail construction site where I had first noticed the rail road grade I found a section extending south that seems to be just as it was the day the line was abandoned. From the intersection of the new trail there is about a mile of old right-of-way extending South. I ventured down this trail one day and found it to be a nice hike. The tracks and ties are long gone but other evidence remains. 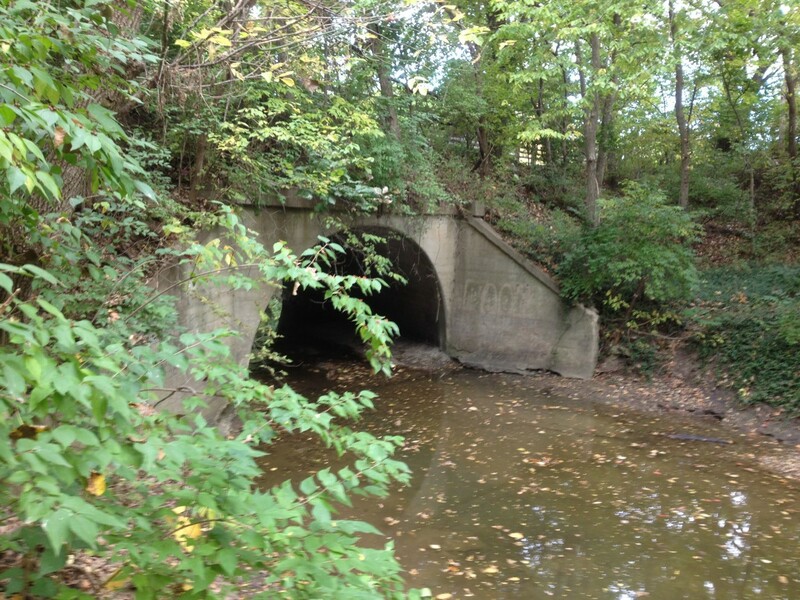 The crushed rock ballast remains, multiple round concrete culverts drain the East side to the West and on a larger creek a 1/2 circle single arch bridge still carries the road over the stream. In a few places a low, hand laid rock retaining wall runs alongside the road bed. 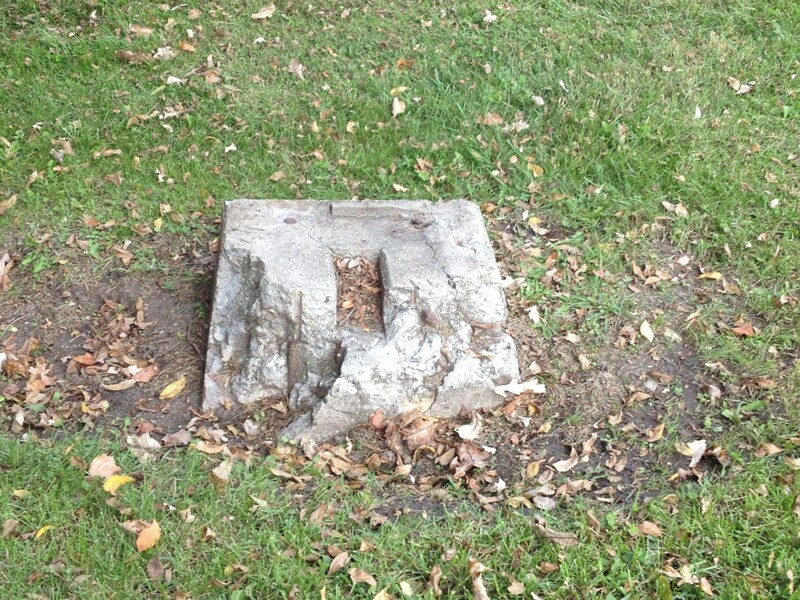 There is also a concrete power pole footing on the west side of the road bed still standing after 100 years. In this one mile segment of over 75 miles of rail road one can "see" a railroad. Looking beyond this one small segment one has to look a little harder. There is evidence but not for the casual eye. Sometimes you have to get off the trail and look at things from a different vantage point. I am very pleased to see a portion of this route being re-used in the form of walking/bike trails. I have found a few. Some are due to civic projects and some are private projects. All, in large and small ways keep this piece of history alive. In looking for evidence remaining of this rail road I have gotten a lot of walking in. I will describe a few of them here along with the evidence along the way. 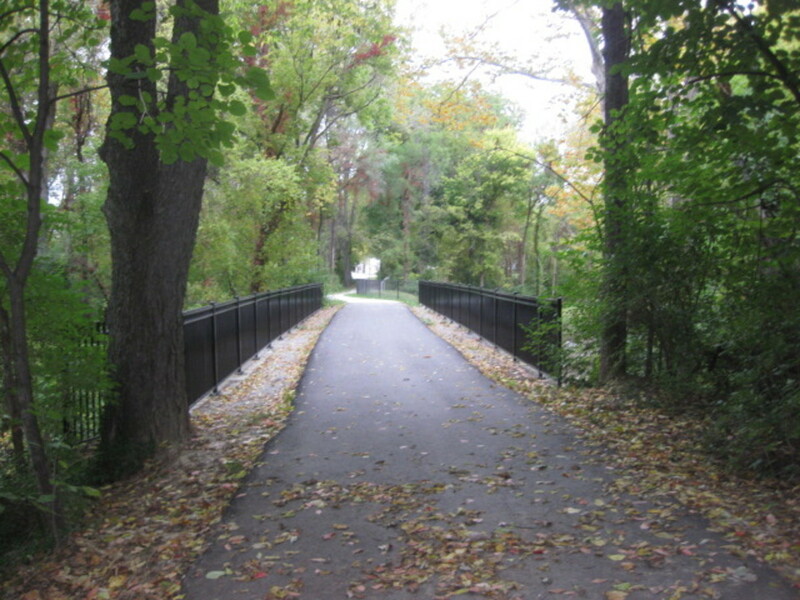 In Riverside Missouri a portion of the KCCC&SJ rail road has been reused as a walking/bike trail along the edge of the bluffs, The NW Platte Road Trail. As the line departed North Kansas City heading towards St. Joseph, it first took an Eastward turn towards Riverside. Back in those days there was a racetrack (horse) in Riverside so there was a stop for the "Riverside Downs" on race days and a stop in Riverside. The route of the rail road had to be higher than the flood plain so it naturally ran along the bluff slightly above the plain. 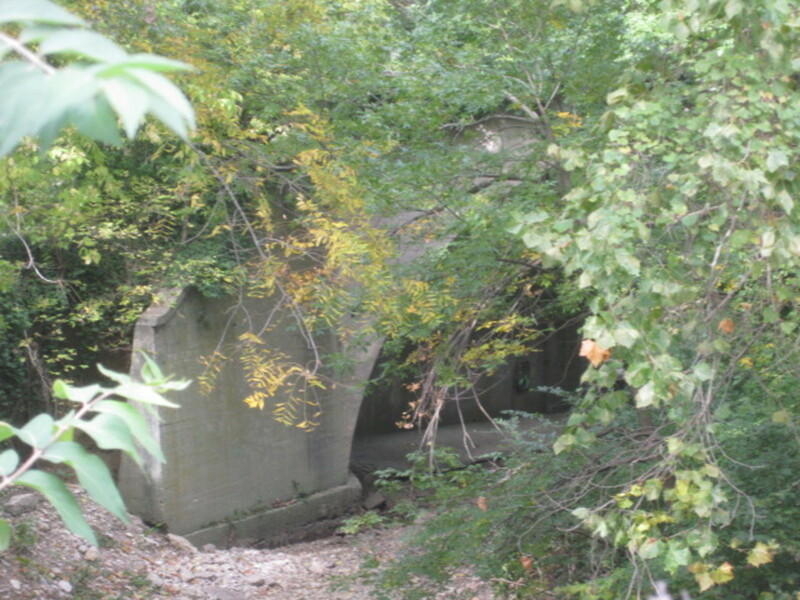 One can find one single arch concrete bridge along side the highway near NW Briarcliff Parkway. 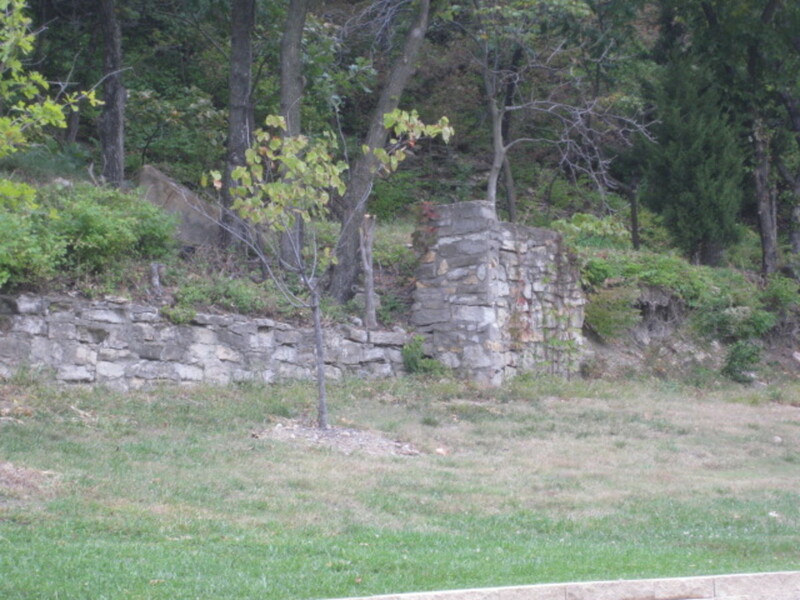 Also along side the trail or just below the trail between it and the highway, there are the remains of hand laid stone retaining walls, just a few remain but are evident here and there. 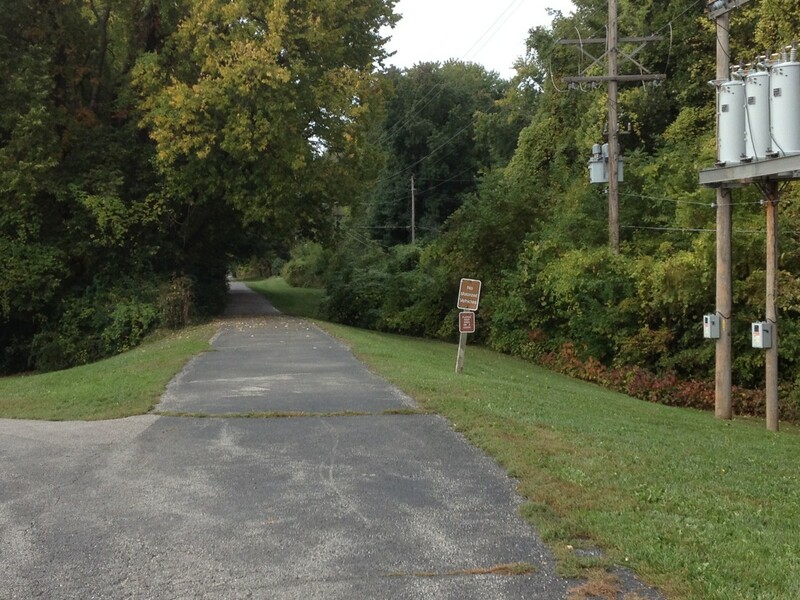 There is a segment of the Line Creek Trail in Riverside Missouri that goes from NW Woodland St to St Joe Blvd. This segment follows the old rail road right-of-way almost perfectly, it is a short trail as far as trail segments go but holds what I believe is the crown jewel of remains of the KCCC&SJ Rail Road. I had been down and back on this trail once before on a bike and had noticed the nice railed bridge over an unnamed tributary of Line Creek. I had not thought much more about it other than as a nice feature on that particular route. 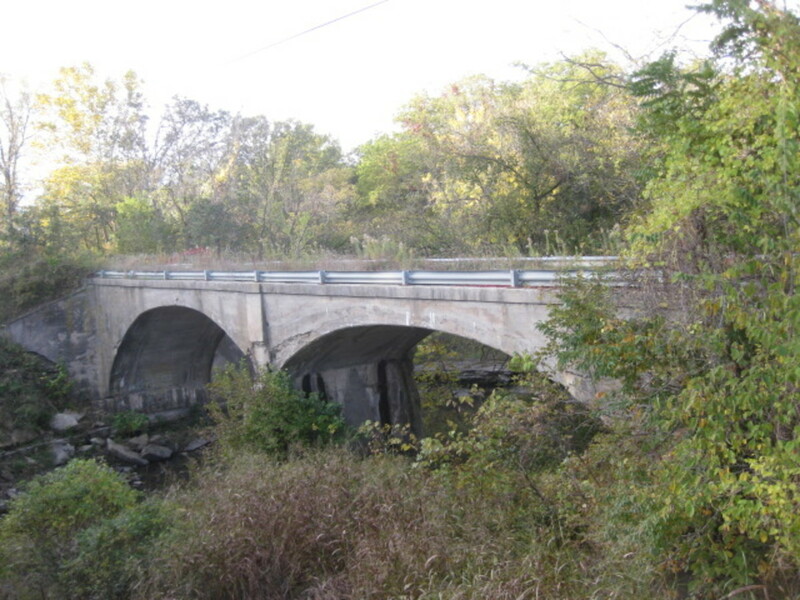 In my research on the KCCC&SJ rail road I found reference to this bridge so I went back there on foot. This is an amazingly preserved Luten Arch bridge. Quite beautiful in its construction and determination to stand all these years. As far as other remains of this rail road in the Riverside, Northern Heights areas there is not much. The current day Waukomis Dr runs north from Riverside. It parallels the old rail road line just to the East. 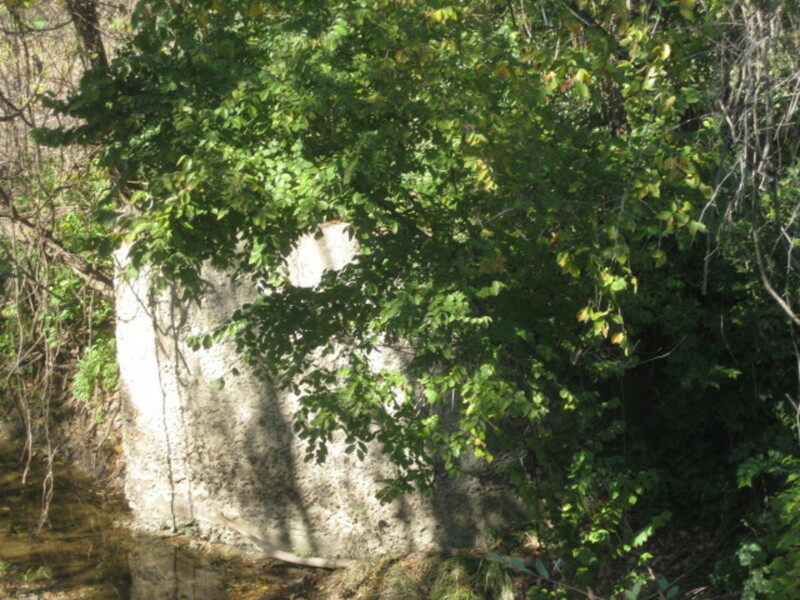 Going North on Waukomis Drive there are a few Bridge Abutments peeking out of the roadside creeks and one well preserved concrete box culvert. I have walked along the road here but there is very little shoulder to the roadway and even the modern stream crossings are narrow. I much prefer to travel by foot or bike on the improved Line Creek Trail on the other side of the valley. I spent a morning driving north looking for evidence of the rail road in Platte County. This was the route to St Joseph. North East of the Kansas City International Airport is the small town of Ferrelview. Going North out of Ferrelview one can follow N Heady Ave which turns into Interurban Rd. I followed this route North to Dearborn MO, not a long distance, but the route uses the old Interurban KCCC&SJ right-of-way most of the way there. Not far out of Ferrelview is the Todd Creek Bridge. 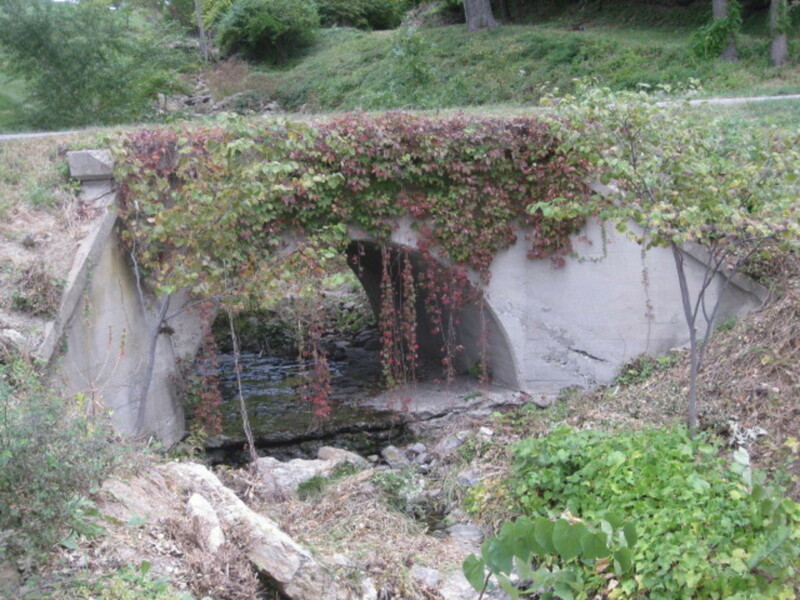 After being abandoned, local farmers used the bridge for years, even laying a deck to facilitate travel over the creek. Eventually the county built a new bridge alongside the old thus preserving it in place. This is a bit longer double Luten Arch designed bridge. The south arch showcases a small waterfall nicely. I did not find much else to photograph on this short trip to Dearborn. I did, however, make some observations. The county road that now is Interurban Rd, has a speed limit of 45 mph. There were a few places where that is being overly stated, a little rough. Back in the day this was the portion of the KCCC&SJ where their trains reached and exceeded 70 mph. A little to the West is Interstate 29 where our modern vehicles do just that. What about the other route? 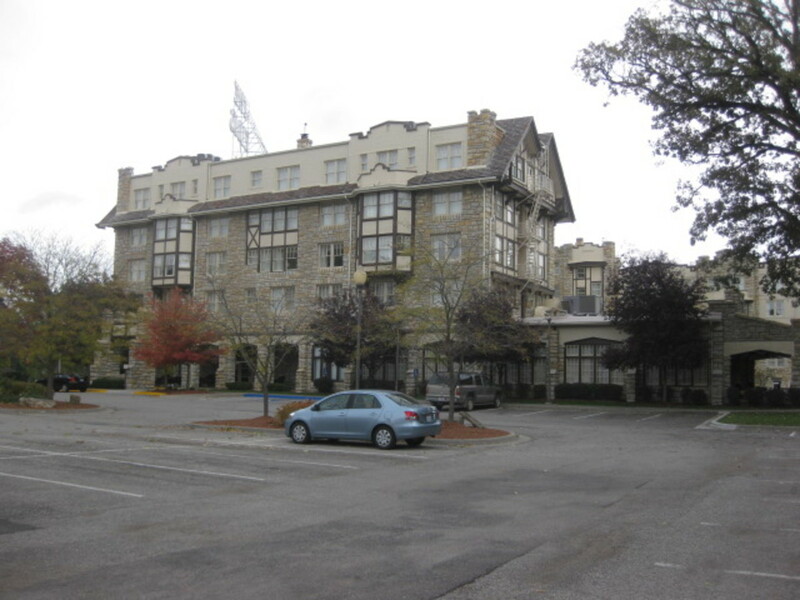 The other, shorter route ran to Excelsior Springs, The Elms and Spa. During the time of conception and completion of the KCCC&SJ, the Wabash Rail Road was delivering 250,000 people annually to the "Springs". A very popular destination. Also in the "Northland", as the locals refer to anything north of the Missouri River, was Winnwood Beach. 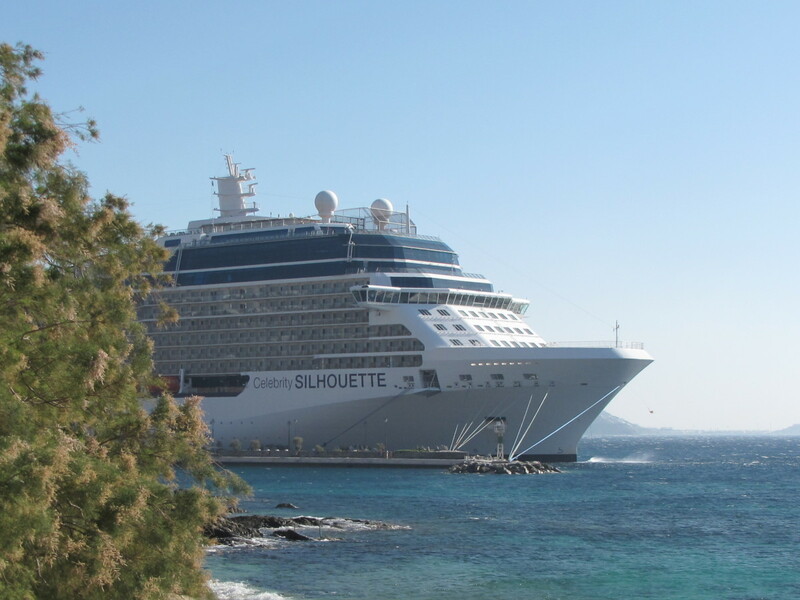 This too, was a very popular destination. It was actually a display in the Clay County Annex that highlights Winnwood Beach that lead me to the KCCC&SJ. Remains of the rail road along this line are also here and there. Some hidden and some not so hidden. 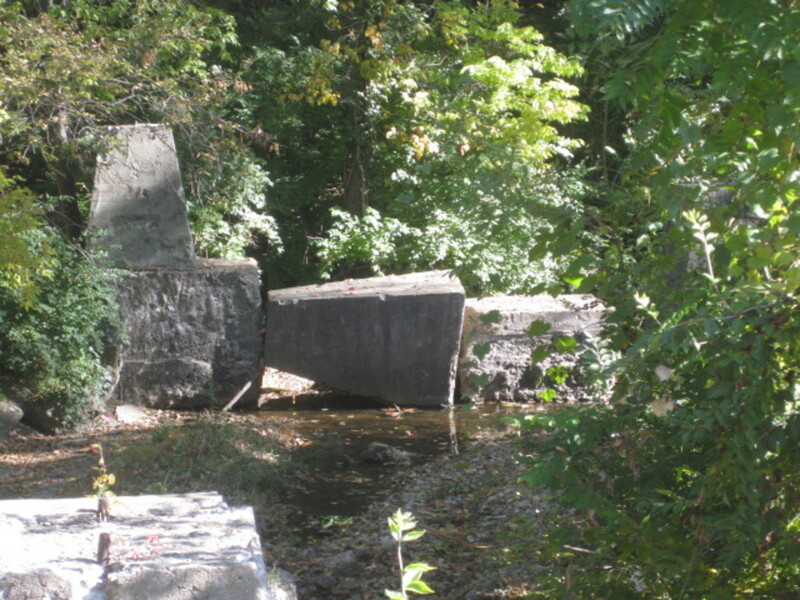 The first large part is a single large Luten Arch designed bridge still standing in Avondale, Missouri. The bridge sits along side NE Excelsior St crossing Rock Creek. This can be seen from the Excelsior St crossing very well. The line ran along a hill and road grade a bit to the North then crossed an existing steam locomotive line on a trestle to curve to the NE slightly and re-crossing Rock Creek. 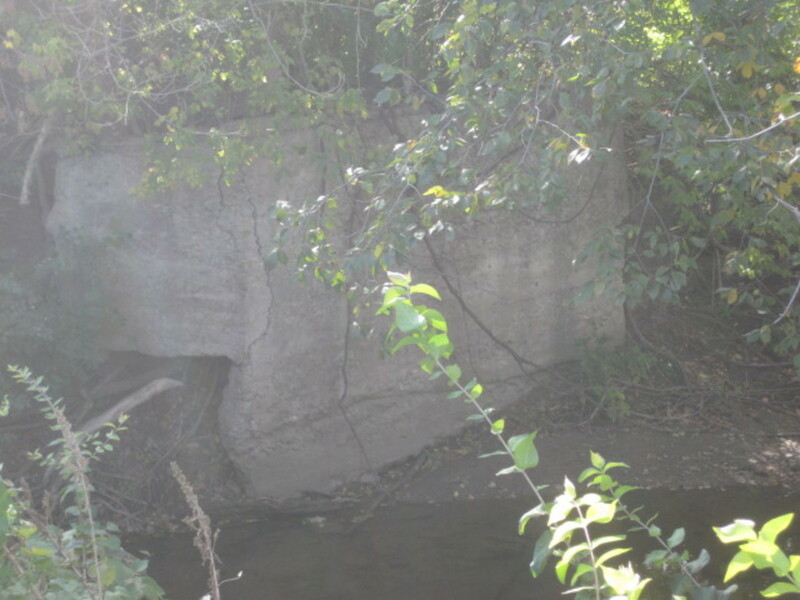 The Trestle Abutment can be seen behind a local house and the Trestle footings still remain in the creek. From what I've read, the Avondale Trestle was an amazing site to see, but, little remains today. Going north from Avondale the route stopped at Moscow then Cheauteau and Winnwood Beach. Although there is the Winnwood Skating rink and Winn Rd, the reminders of the Roaring 20's era attraction are long gone. A Target store sits where the boardwalk may have been, A McDonald's where the larger lake was. Interstate 35 covers the old rail road grade. Throughout this area the signs of the old rail road are vague at best. Barns St seems to have been part of the road grade. There is actually a house off of Barns that is built around one of the old rail road cars. One has to go to Liberty Missouri to find the next evidence of this line. 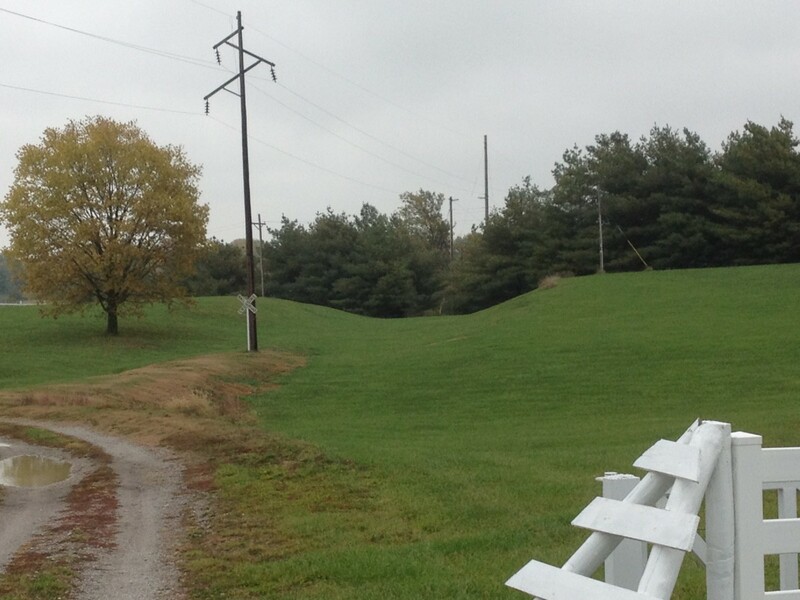 Reuse of the KCCC&SJ Rail Road in Liberty comes in the form of the Westboro Canterbury Greenway walking trail. Here they have used the old road grade for a flat walking trail of about a mile in length. With a few branches and use of a stream side trail, the end to end and back walk is a little over 3 miles. Along the actual road bed there can still be seen hand laid rock retaining walls along a portion of the north side. One of very few remaining power pole footings lies alongside the trail, and, where the trail crosses a small stream, we find one of the classic single arch bridges still holding up the road bed. The route of the Rail Road continued East and North into Liberty where the station used to be at the corner of Mill and Leonard Streets. Back to the South and West to Claycomo, housing developments and a large Ford Factory cover the old route. Vague trace can be found across the fields and woods in between. A careful look at Google Maps can often reveal traces that the Rail Road left across the land. Just to the East of Liberty lies this Private - Open to the Public, Sanctuary and Conservation Area. 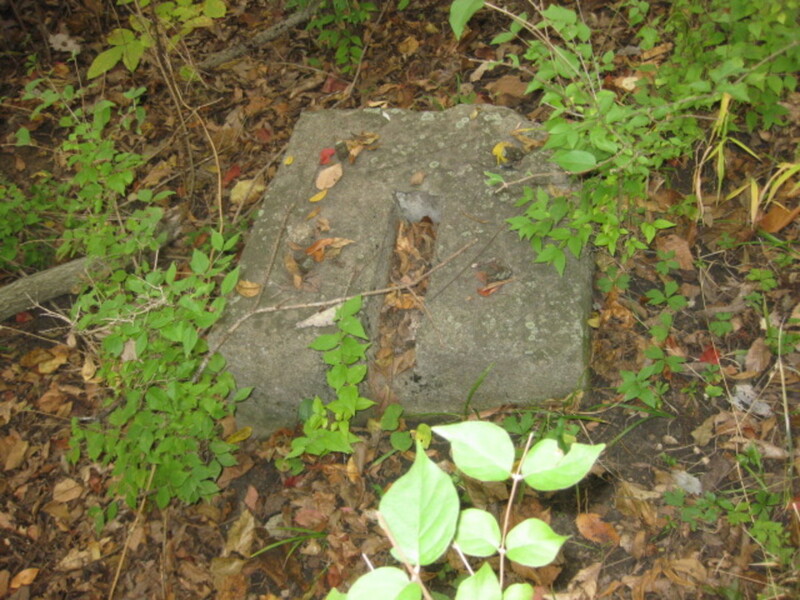 It too, holds evidence of the old Rail Road. 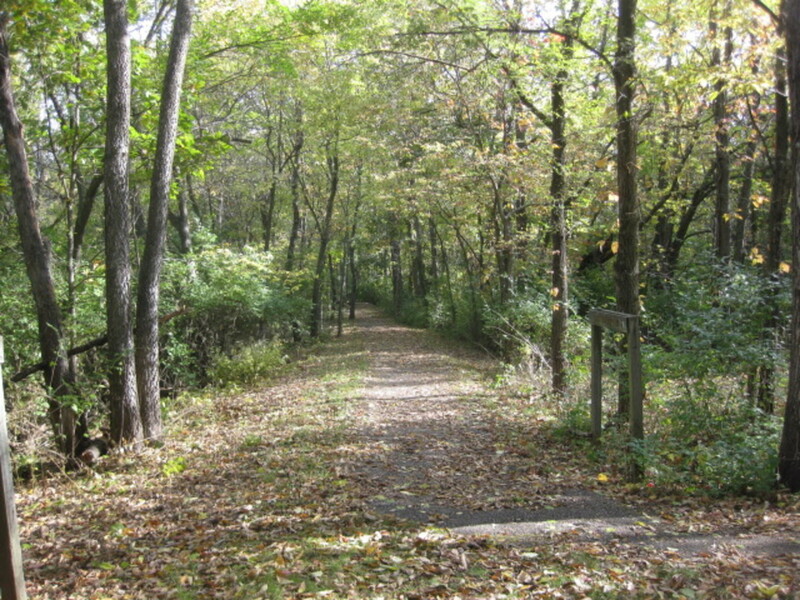 A portion of the walking trails utilize the old road bed. A single concrete power pole footing can be found along side a portion of that trail. 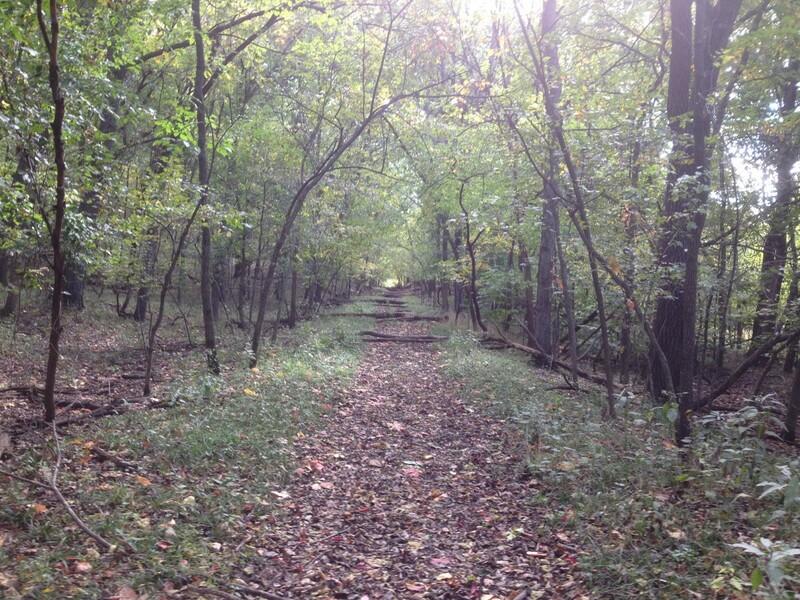 The trails are very well maintained and the area proved to proved me a great place to take a walk. 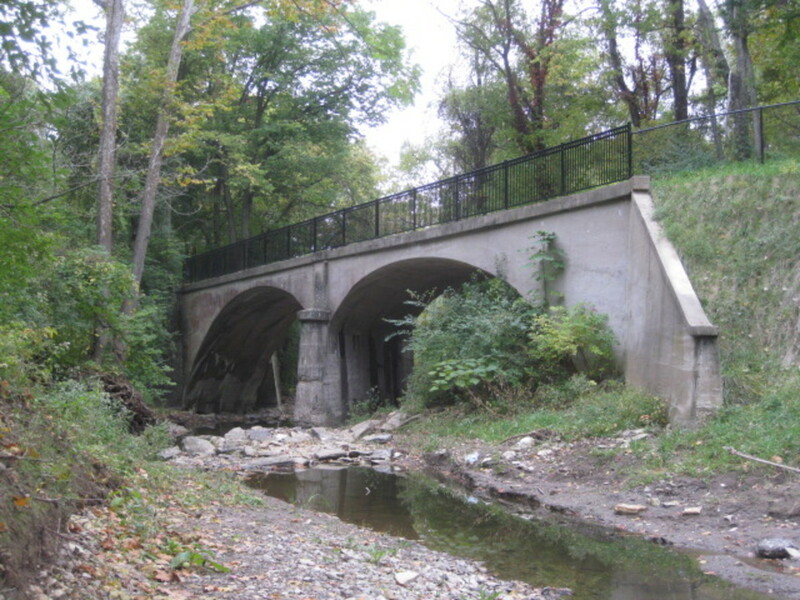 The area also has a contender for one of the best preserved bridges. 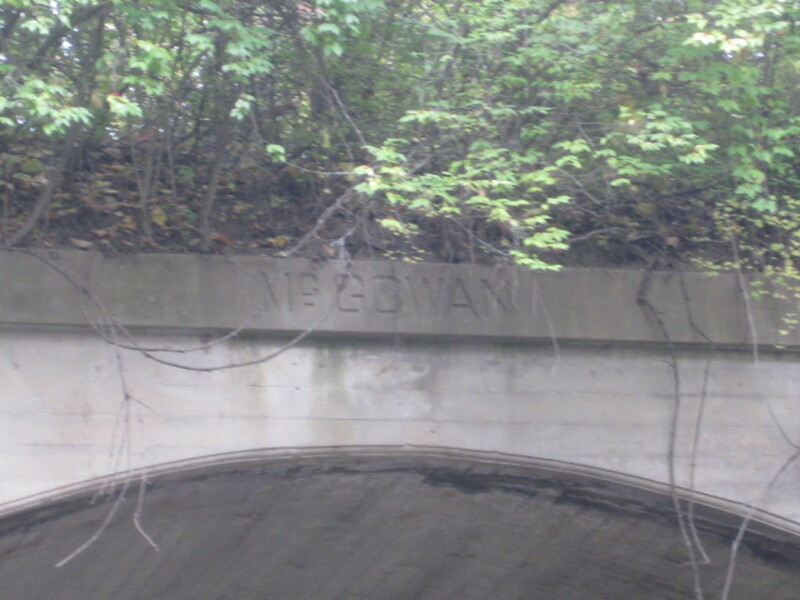 It is also unique in that, of all the bridges along this rail road, this one has a name embossed on the side. In the late 1800s and early 1900s Hugh J McGowan was a mover and shaker in the traction rail road industry, not in Missouri but back East in Indiana. He actually died in 1911 while this rail road was being constructed. 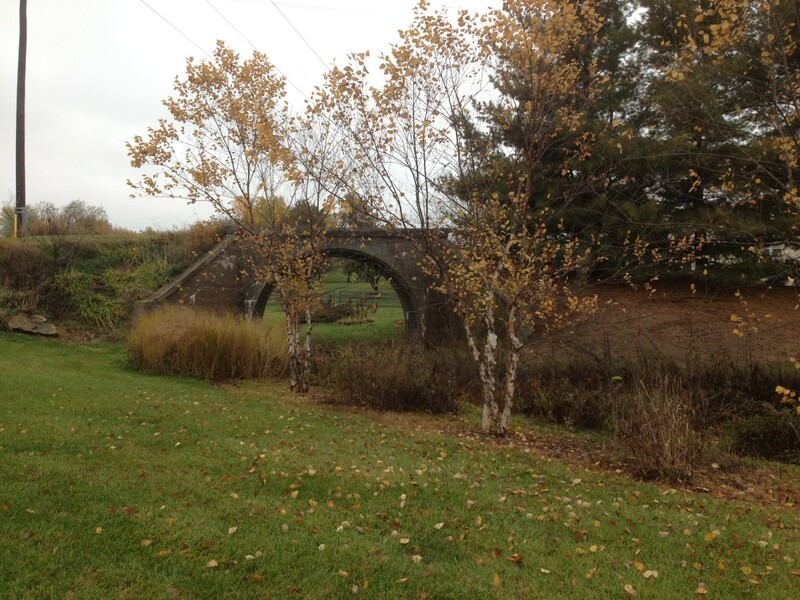 This particular bridge and the area surrounding it was part of his family homestead, though. It seems the builders may have placed the name on this one bridge in tribute to a dynamic force in the Interurban industry. State Highway H will take the interested driver from Liberty to Excelsior Springs. 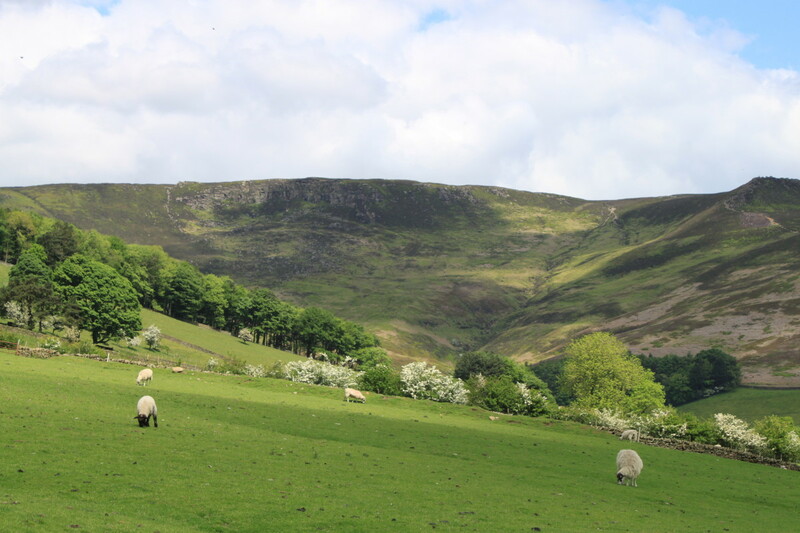 It is a country road and does a little winding and curving across the county. It also, somewhat follows the old KCCC&SJ route. The drive to Excelsior Springs along this route will impress on the driver and passengers the "rolling hills" image of Western Missouri. Just a short distance past the intersection with Highway B one can find what some have described as an "suburban pretty" bridge. 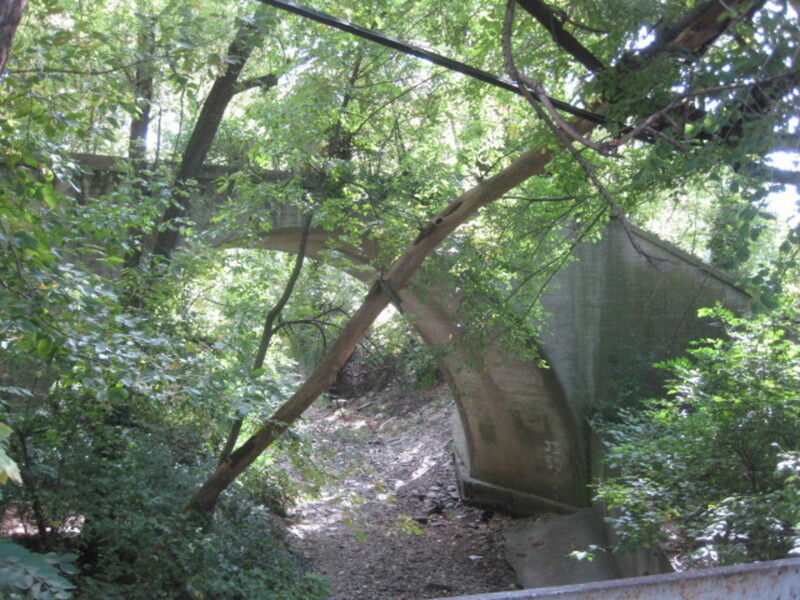 Between two properties lies a large single arch bridge. 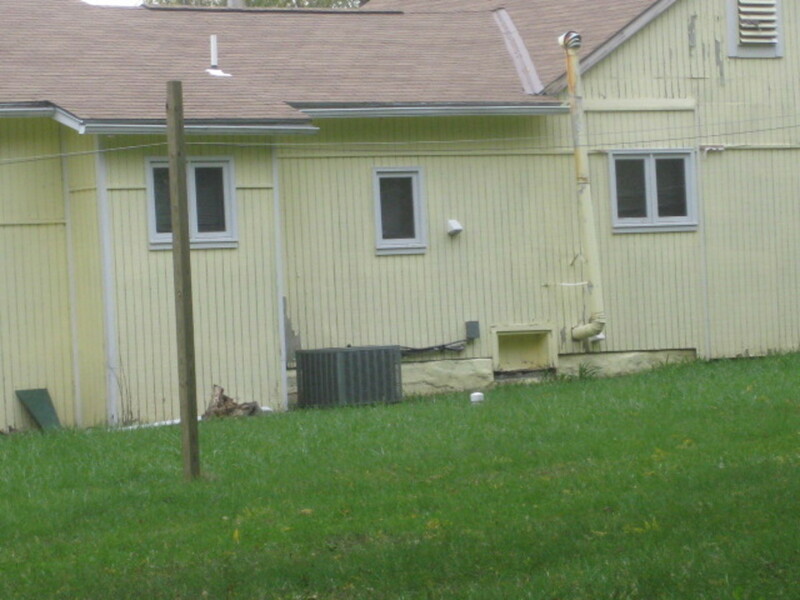 The land owner has enhanced the setting with prairie grass and a short trail. I spoke briefly with the owner having stopped to ask where I could find the bridge. She seemed more than happy to have someone show interest. I believe the term suburban pretty does this one justice. Another short distance along Highway H there are two opposed concrete power pole footings just off the side of the road. Looking to the North East you can see where the old rail road bed cuts across lawns and fields. 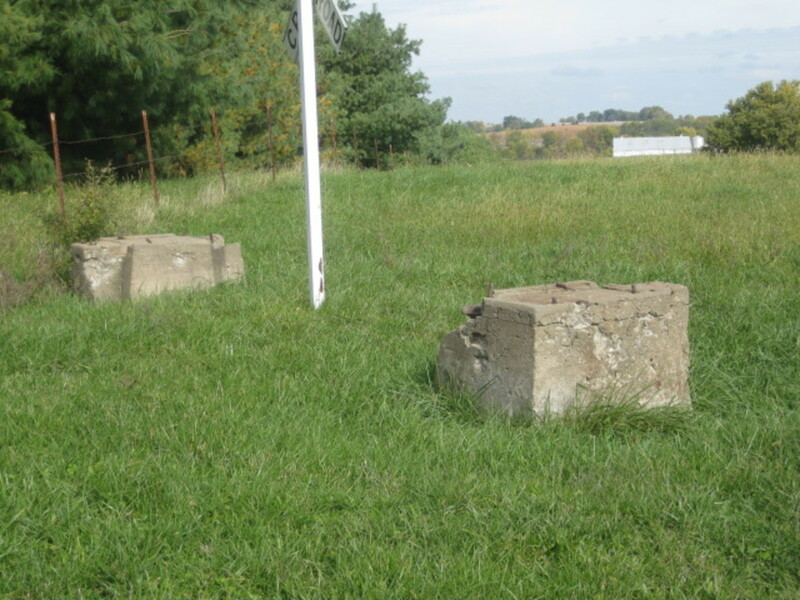 It helps a little that the landowner has a few old railroad crossing signs on the property. Tracing the route of the KCCC&SJ on a satellite view of the area it is clear that Highway H and the KCCC&SJ part ways at the point where the pole footings are. The old rail road cuts across farms and fields toward the town of Mosby. The highway meanders to the East and does not reconnect with the rail road until North of Prathersville. That is not to say that you cannot find more evidence of the old rail road here. 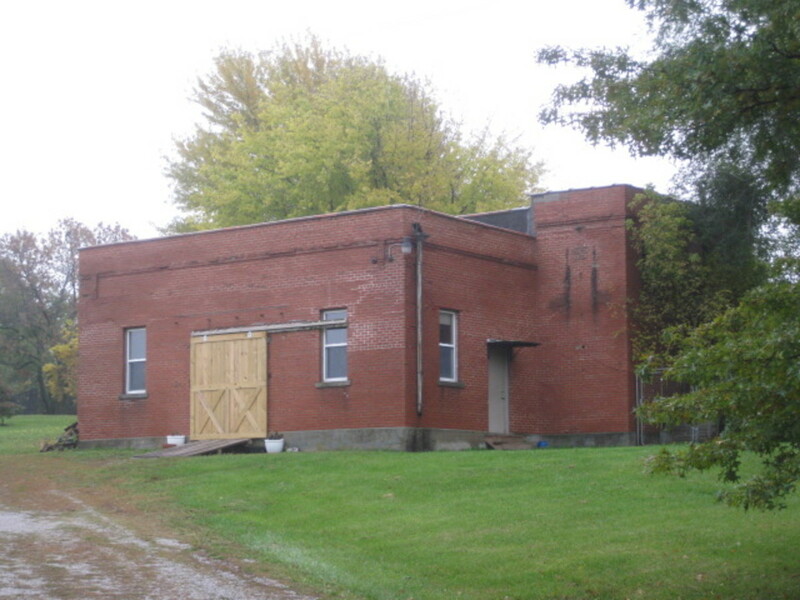 While passing on Highway H you can see the top of an old brick building just over a hill. A country lane goes north from Highway H, next to which is a complete DC Power Generating Plant. No one was home when I discovered this but my research tells me that it still contains all of the Generating equipment. 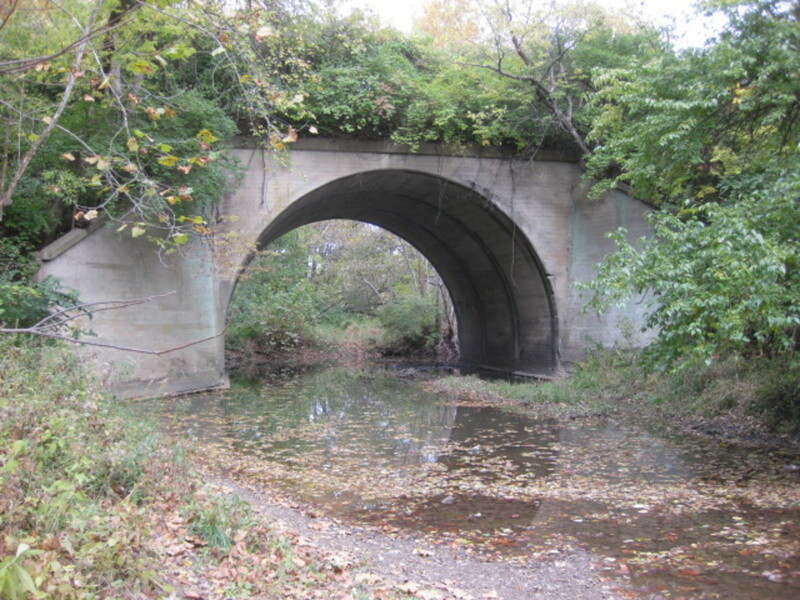 In Mosby there are two examples of Luten designed Arch bridges. 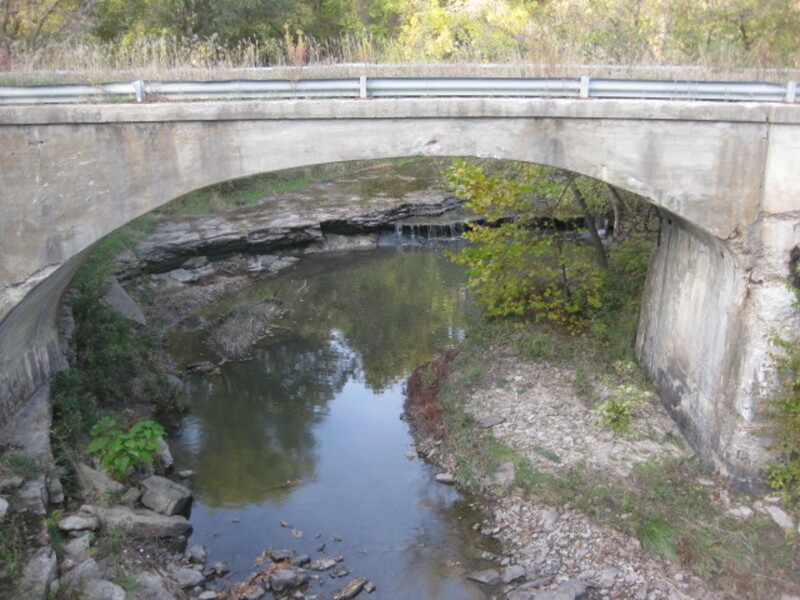 One, coming into town from the West is actually still used as a vehicular bridge. Main street crosses the Fishing River on a Triple Arch bridge. 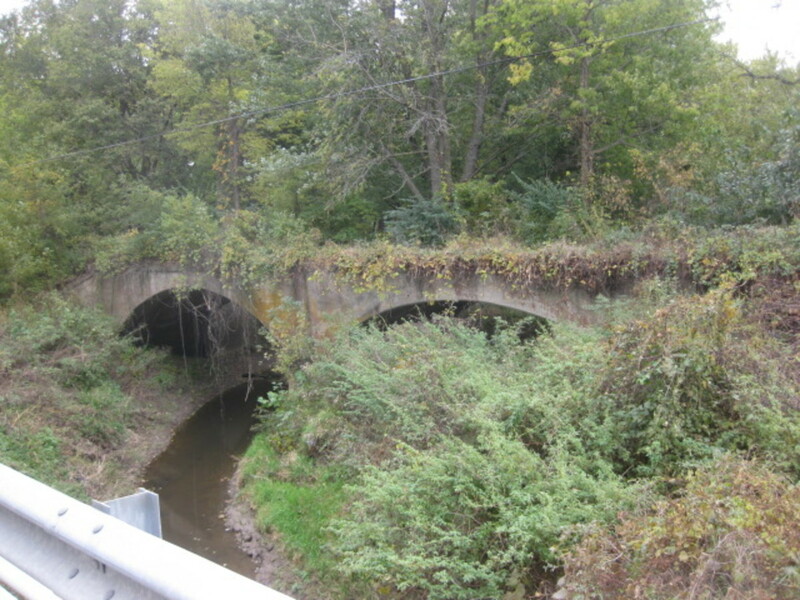 East of Mosby on 124th Street is an abandoned double arch bridge crossing Williams Creek to the South of the more modern (slightly) bridge used by 124th Street. The end of the line on this route was Excelsior Spring and, of course, The Elms. 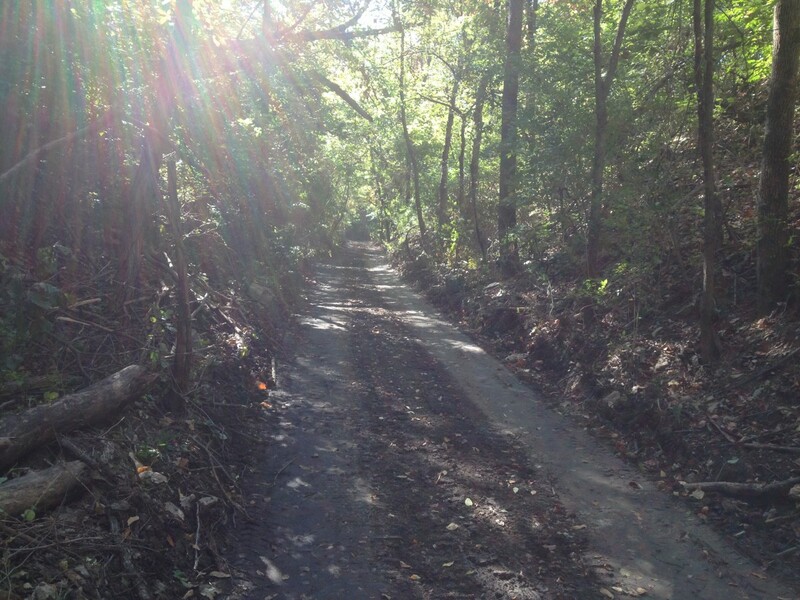 Highway H runs along the old rail road cut for a little ways again towards Excelsior Springs. Again, one can see from a satellite photo where the old road bed diverges and crosses a field or two before leading into Excelsior Springs. I suppose the primary conclusion I can make from my journey here is that my curiosity leads me in many directions. I enjoy searching and finding the type of information and locations listed herein. Along the way I have seen a few things and read a few things that will probably lead me in some other directions to other searches. I made reference to Luten Arch Design several time in this article. David B Luten 1869-1946 was a bridge designer of the early 20th century. He ultimately held 30 patents for concrete arch bridge designs. 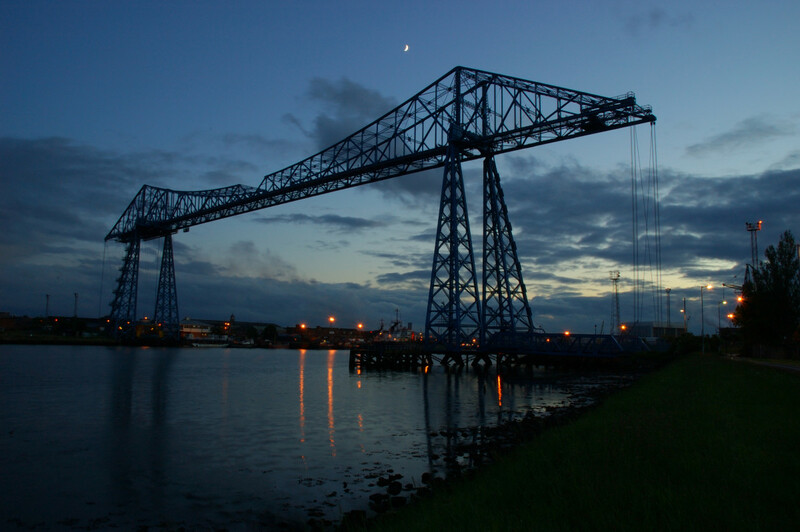 By his count he designed 17,000 bridges using his patented designs by 1919. 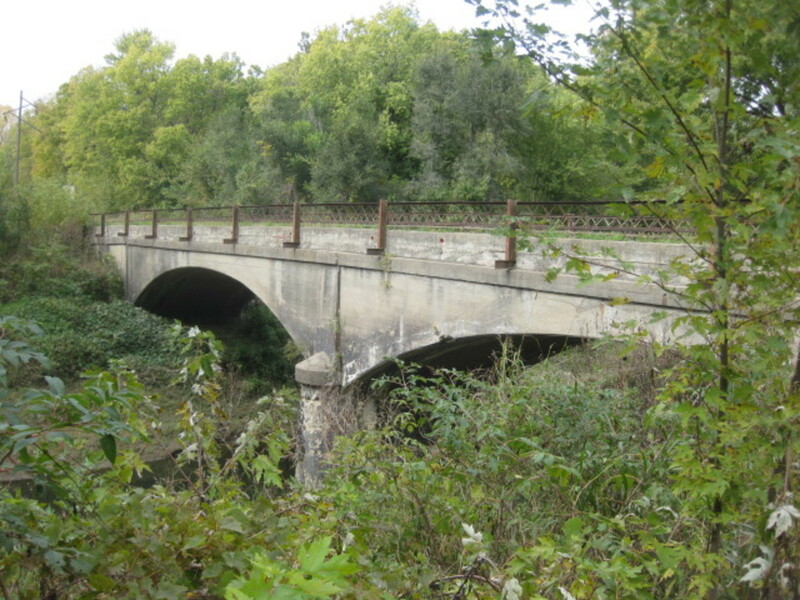 Many if not all of the bridges employed by the Kansas City Clay County & St Joseph Rail Road were of his design. As for references, I relied on the internet for the beginning search into this piece. There is information there. At one point I took a walk around Liberty town square in a vague search for a historical source. Not finding the local Historical Museum open I went into the Clay County Courthouse to ask about archives. A very nice lady in the real estate office directed me to the Clay County Archives and Historical Library where I found quite a lot of information. I even joined that esteemed organization pending future searches. 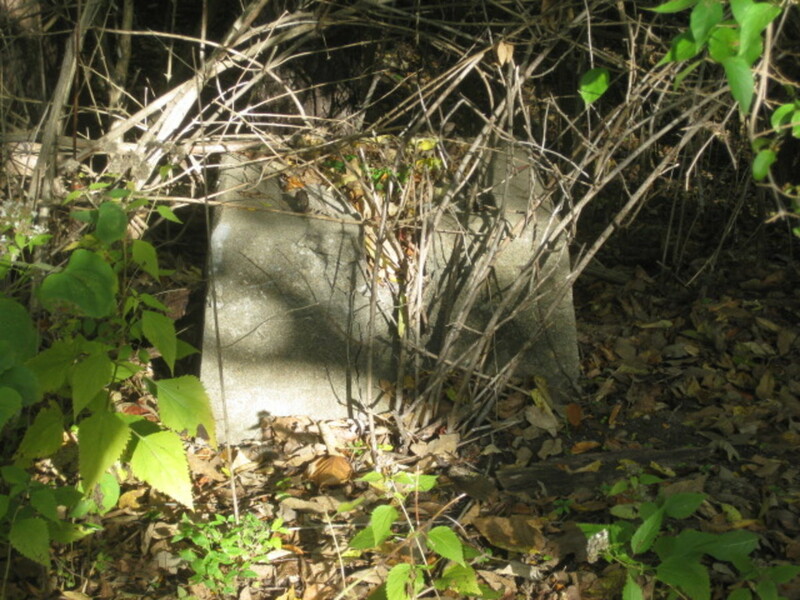 I was not able to find all of the remains of the KCCC&SJ Rail Road, that I found mention of in several resources. I will continue to search. I'm sure that I will make future finds that may require updates to this article. 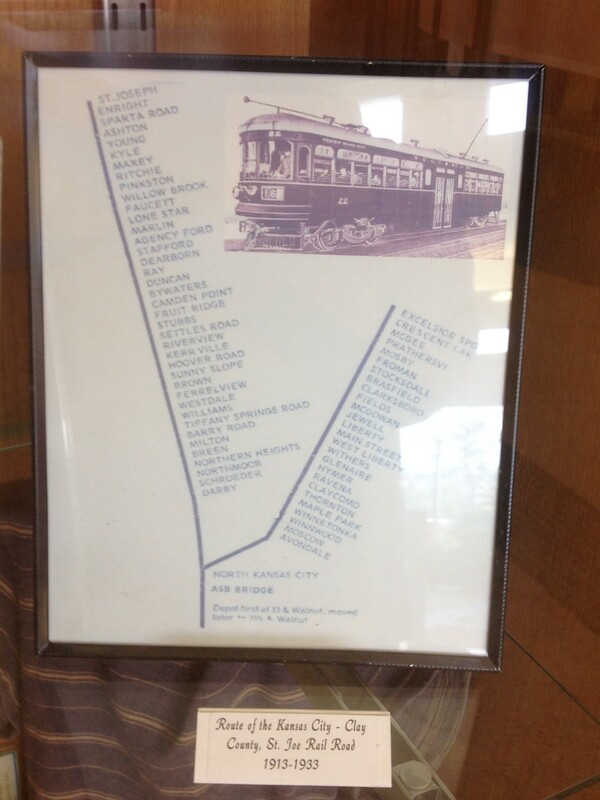 Another consideration that I have is the past decades talk of bring Light Rail to Kansas City. Nearly each local vote includes a measure to begin construction of a Light Rail system in Kansas City. I don't know how many of our current voters realize how not-new this idea is. We have come full circle, I believe. 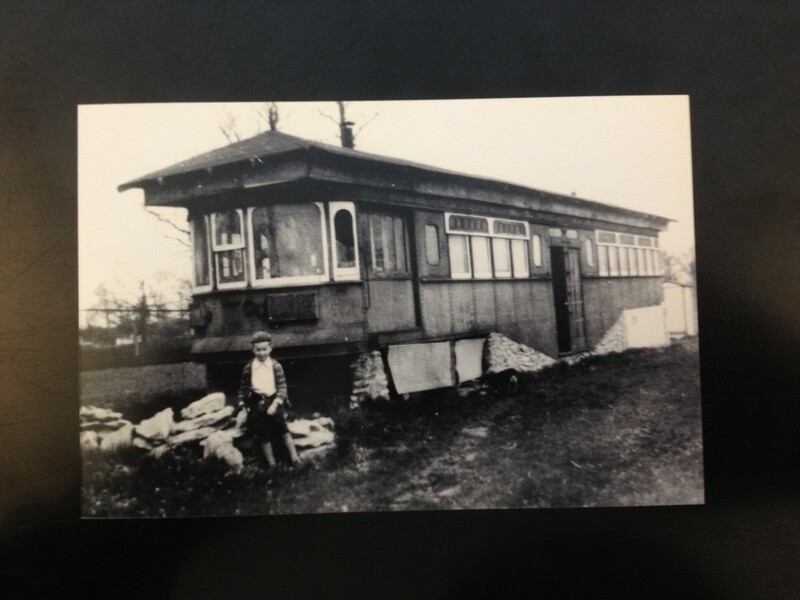 The automobile and hard surface roads put the Interurban out of business 80 years ago. The automobile, it's cost to operate and congestion due to it's commonality have started people looking to efficient mass transit again. Great article! My son and I rode the Line Creek Trail north of Vivion Road recently, and it is a great trail, secluded from any motor traffic. Thank goodness for the old interurban railroad bed. Please note a typo in the section regarding Hwy. 9 coming out of North K.C. The route took a WESTWARD, not eastward, turn into Riverside. Very interesting, I live in Kansas City and did not know about all this! Thank you DDE.. Searching and Learning was fun and the walking is great. I'm looking for a similar project to start soon.